“We are living in a country having huge population. Since more people are becoming urban centric, we need to design cities in such a way that many people can be given shelter at a time. We have technologies and materials that will support construction of such structures,” he said.With most of the Indian cities growing at a fast pace due to high urbanisation pressure, the award winning architect said, vertical development will be conducive to the rising demand on space to live. 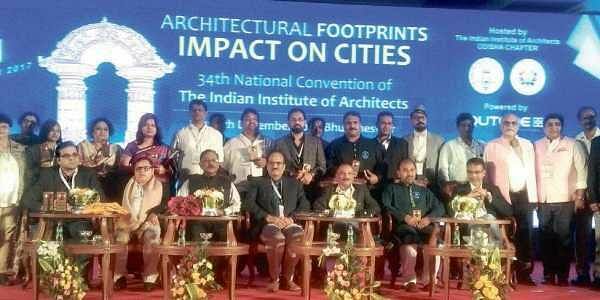 The three-day event was organised by Odisha Chapter of Indian Institute of Architects (IIA). Among others, junior vice-president of IIA Amogh Gupta, IIA-Odisha chairman Sagarendra Mohapatra, Ratnamala Mishra and Nisith Ranjan Nanda were present. Several State Chapters of IIA and successful architects were felicitated for their outstanding performances.